About 13 years ago, Sarah, a wise friend with an amazing spirit, gave me a hard-to-hear message during my second ectopic pregnancy. “Unfortunately,” she said, “you don’t get a Get Out of Jail Free card just because you’ve done this once, and you will have to go through it all over again.” When Sarah said those words to me, I didn’t realise that I’d have to go through it all a third time (as in fact she also had done), when I would have to grieve and accept a life without children. I remember also being frustrated the only time I saw a counsellor, and realised (in horror!) that there were no tools or techniques that would help me cope with loss or childlessness, there were no short-cuts, no easy or painless steps towards healing that would magically turn my life around. The truth is that we can do everything we think we need to do to be happy in our new life – we can stop (or choose not to start) treatments/adoption proceedings, pursue new interests, move away, try to bring children or nurturing into our lives, quit our jobs or change our professions, travel, volunteer, etcetera – but if we haven’t done the emotional work of grieving and acceptance (of our situations and be ourselves), no changes in lifestyle or profession or relationships will really help us. Even if I had known then what I know now, understanding what helped me and what held me back, I still needed to go through it all to come out the other side. I’m glad though. 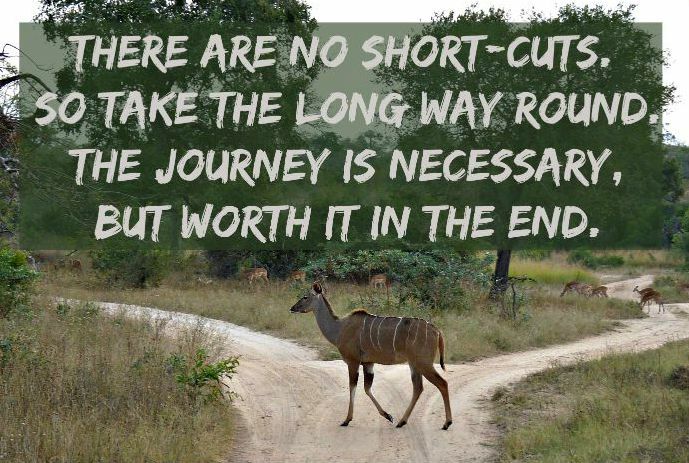 Though the long way round is very hard, I have met wonderful people along the way, learned important lessons, and grown in ways I would never have imagined. I saw the light this morning in bed. Actually, I didn’t see the light,not literally, because the curtains were still closed, but you know what I mean. I was having a lazy Saturday morning lying in bed, reading blogs and books and articles on my iPad, with a nice cup of tea delivered by my husband. (Some of the joys of not having kids!) Two things came together for me. The first was a paragraph written by Brené Brown. You probably know I love her work on shame, as I think it relates very accurately to the experience of infertility. (See my post on Infertility and shame here.) 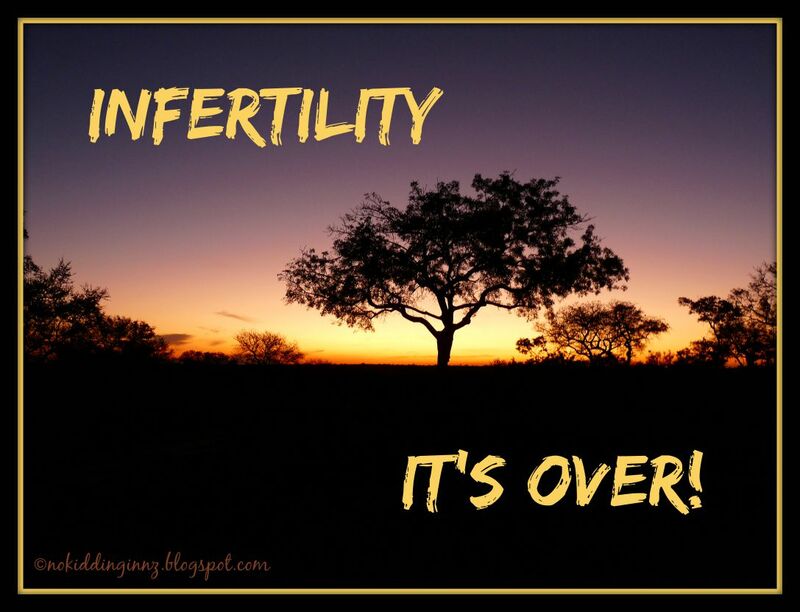 As I read her, it explains time and time again why I’ve felt a particular way, and why something I’ve done or thought has worked for me, allowed me to feel better about myself after infertility. She wrote about self-compassion in one of her earlier books (The Gifts of Imperfection - which I’m finally reading), and noted that in learning self-compassion, we need to set boundaries. In having compassion for ourselves, we can’t let people walk all over us, we can’t allow ourselves to be pushed around, or belittled. The first step is to stop belittling ourselves, telling ourselves that we are lesser women (or men) because we can’t have children, that our lives aren’t worth as much, or that we have no future. If we tell ourselves this, and let ourselves repeat these beliefs and accusations over and over again, we’re just beating ourselves up. We’re creating victims, and we’re not being truthful. I understand how painful it can be – I’m an expert at berating myself for particular activities, and I can be very good at worrying about imagining that other people think the worst about me. But these days, I am better at stopping that train of thought when I recognise it. I’m better at realising that I think these things, but it doesn’t mean other people think these things about me. And I’m better at remembering that ultimately, we are all self-centred, and so other people probably aren’t thinking these negative things about me at all, because they’re busy at thinking them about themselves! The next step is to stop letting others belittle us. I’ve done this in two steps. The first was to realise that so many of our attitudes, and therefore society’s attitudes, towards the childless is a massive stereotype, rarely thought through, and just not logical. We’re not selfish, we do know what love is, and we do leave a legacy. The second step is more personal, and it is to stop putting other people’s opinions and feelings before our own. Sure, there are times this is appropriate. But not all the time. And that’s often the problem – that we are constantly putting others before ourselves. Believe me, I was taught this from a young age. This morning, I saw a post from Kathleen on Life Without Baby, talking about the responses from people when they received her wedding invitations. “I received several variations of “Didn’t know you were pregnant – har har!” She felt it would have been rude to point out that this was not possible any more, and that she was sad about that. I was shocked, I will admit. Why would it have been rude to respond with her suggested, very polite response? Her feelings matter. When people make jokes and they hurt, why should we feel we have to take it, and not respond? (Yes, I know that sometimes it’s not worth it – but that’s a different question than whether it is rude.) It’s the same as those who wonder how to respond when we are asked if we have children, and why not? I don’t think it is rude to simply say no, to refuse to share why we don’t have children, or to tell them everything and point out that we are sad about the fact we don’t have children. And if, by telling them or not telling them, they learn the lesson that we don’t appreciate jokes about being pregnant, then that’s okay. It’s certainly not rude. It is my story, it is my truth, it is my pain, and I have a right to share that, or not share it, with whomever I choose. It is okay to point out that I am not selfish, that I know what love is, and that I do leave a legacy if I feel someone is perpetuating stereotypes that hurt me, and others. If I set boundaries that protect me, that are respectful of my situation and history, and enforce them gently and tactfully, it doesn’t hurt anyone else. (Indeed, it might educate them). But not setting boundaries undoubtedly will hurt me, and in turn, it hurts my relationship with others, whether on a large scale (society) or in an intimate one-on-one relationship. And this was Dr Brown’s conclusion. If we let others ride roughshod over our feelings, then we will feel anger, resentment, and bitterness towards them, and towards ourselves. It makes it harder for us to be kind and compassionate back to them, to tend to the relationships, to be open and honest. Once we practice self-compassion and exercise boundaries, it is easier to bring others into our lives and hearts, to be kind and considerate, and compassionate to all. And ultimately, find it easier to love and accept ourselves as we are. Over the years, quite a few women have said to me, “MY child won’t do X” or “OUR relationship is different, we’re very close!” only to be (predictably) proved wrong as their children grew up. In another conversation with a woman I know well, the "only a mother ..." and "only a parent ..." comment was uttered in this context repeatedly, blocking any possibility of a real discussion and the consideration of alternate views. It was clear that my role in the discussion was intended to be one of support, nodding and sighing, and validating the parent's decision. Whilst I couldn't bring myself to put my heart into this, I also couldn't put the child's case, as I wanted to do. My restraint was impressive (if I do say so myself)! "Only a parent can be so self-righteous that they are blinded to the truth." He laughed, we shrugged, and then went back to whatever we were doing.